Inverse problem solving isn't a new technique in classical physics, but this algorithm represents one of the first successful examples of an inverse problem solving method with quantum materials. And it could make searching for interesting physics a more streamlined and deliberate process for many scientists. More physicists are working in condensed matter than any other subfield of physics—the rich diversity of condensed matter systems and phenomena provide ample unsolved problems to explore, from superconductivity and superfluidity to magnetism and topology. Experimentalists probe the macro-and microscopic properties of materials to observe the behavior and interactions of particles in materials under a strict set of controls. Theoretical condensed matter physicists, on the other hand, work to develop mathematical models that predict or explain the fundamental laws that govern these behaviors and interactions. Clark explains, "For a typical condensed matter problem, you start with a model, which comes out as a Hamiltonian, then you solve it, and you end up with a wave function—and you can see the properties of that wave function and see whether there is anything interesting. This algorithm inverts that process. Now, if you know the desired type of physics you would like to study, you can represent that in a wave function, and the algorithm will generate all of the Hamiltonians—or the specific models—for which we would get that set of properties. To be more exact, the algorithm gives us Hamiltonians with that wave function as an energy eigenstate." "Typically, you would guess Hamiltonians that are likely to be superconducting and then try to solve them. What this algorithm—in theory—will allow us to do is to write down a wave function that we know superconducts and then automatically generate all of the Hamiltonians or the specific models that give that wave function as their solution. Once you have the Hamiltonians, in some sense, that gives you all the other properties of the system—the excitation spectrum, all the finite temperature properties. That requires some more steps once you have the Hamiltonian, so we didn't improve that part of the research process. 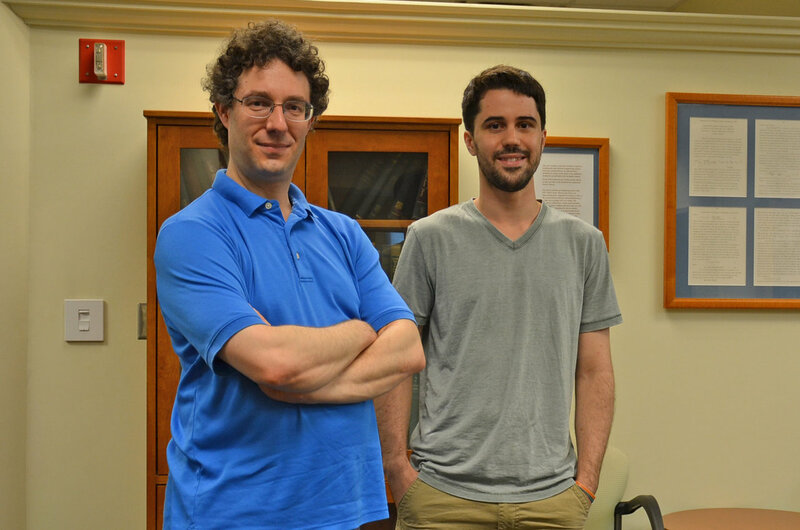 But what we did, we found a way to find interesting models, interesting Hamiltonians." Chertkov adds, "There are lots of wave functions people have written down for which there are no known Hamiltonians—maybe 50 years worth. Now we can take any of these wave functions and ask if any Hamiltonians give those as eigenstates and you may end up with one model, no models, or many. For example, we are interested in spin-liquid wave functions, highly entangled quantum states with interesting topological properties. Theorists have constructed many spin-liquid wave functions, but don't know which Hamiltonians give them. 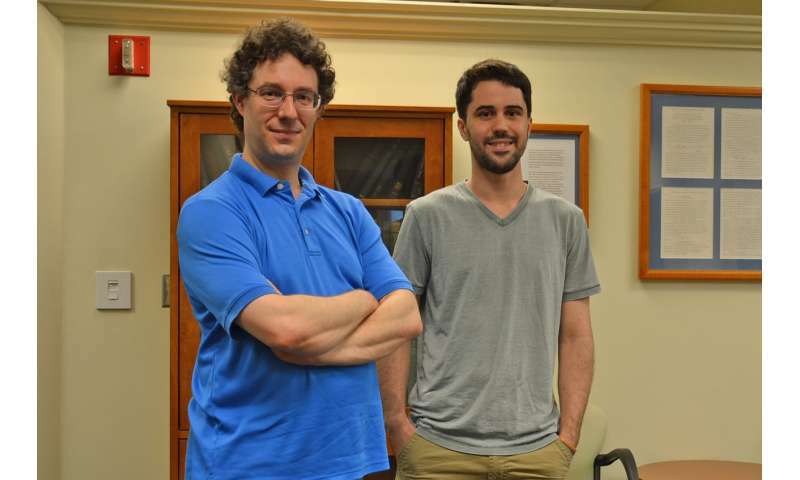 In the future, our algorithm should let us find these Hamiltonians." Hamiltonians that would give it. And we found some." Chertkov says the results of the algorithm could point experimentalists in the right direction to find interesting new physics: "That would hopefully be one way it would be used. You pick a wave function that has some kind of physics that you care about and you see what sort of interactions can give you that sort of physics, and hopefully then the models you find through this method can be looked for in experiments. And it turns out you find many models with our method." Clark sums up, "This has inverted the part of the process where we were sort of hunting in the dark. Before, you could say, we're going to try lots of models until we find something interesting. Now you can say, this is the interesting thing we want, let's turn the crank on this algorithm and find a model that gives that." These findings were published online on July 27, 2018, in Physical Review X (PRX), in the article "Computational inverse method for constructing spaces of quantum models from wave functions."